Deliverance, a collection of newly-discovered studio recordings made between 2006 to 2008, was due to be available on Friday. 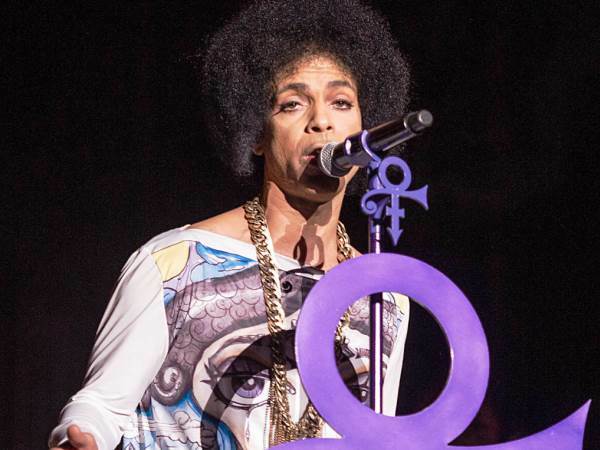 Prince's estate has been granted a restraining order which will halt the release of a six-track EP to mark the first anniversary of the music icon's death. However, the scheduled release was hit with a lawsuit this week, as Prince's estate and Paisley Park filed a federal lawsuit against sound engineer George Ian Boxill - who completed arrangements on the tracks, finished the production and mixed the songs - for control of the Deliverance material. According to TMZ.com, the estate was victorious in the first stage of their legal battle, after a federal judge ruled in their favour, and granted them a restraining order which will prevent the release of Deliverance. The legal documents obtained by the website state that Boxill had no right to take it upon himself to distribute the music to the public, especially considering he allegedly signed a confidentiality agreement when recording with Prince in 2006. Boxill has now been ordered to turn over all recordings, which were estimated to have a value of more than $75,000 (R987 000), to Prince's estate. The case will continue with a hearing which will take place before the restraining order is due to expire on 3 May. However, the order makes no reference to the fact that Deliverance had already been pre-ordered by millions of fans of the Purple Rain legend before it was pulled from streaming sites. Anyone who pre-ordered on iTunes before the removal on Wednesday got an immediate download of one song, according to TMZ. Deliverance has now also been removed from Apple Music, Amazon Music and Google Play streaming services. Prince was 57 when he died at his Paisley Park estate in Minnesota on 21 April last year from an overdose of the opioid Fentanyl.